What Should i Know About Solana Beach Air Duct Cleaning ? · Five to seven times a day, the air in your Solana Beach home circulates through the air ducts of your HVAC heating and cooling system, carrying with it the dust and debris of everyday living. · In a typical six-room home, up to 40 pounds of dust is created annually through everyday living. Your heating and cooling system is the lungs of your home. The system taken air in and breathes air out. What Can I Do To See for Myself Before Requesting A Air Duct Cleaning Cost in Solana Beach,Ca ? Wouldn’t it be handy if you could take an incredible journey through your ductwork to see if cleaning is needed before requesting any air duct cleaning cost bids ? Using a pocket digital camera equipped with a flash or even better use your smartphone and its built in flash and camera, get a selfie stick you can extend , you should be able to come close. Simply remove a floor register, reach as far as you can into the duct (don’t drop your camera or Smartphone! ), and take a couple of shots. How Often Should They Be Cleaned ? 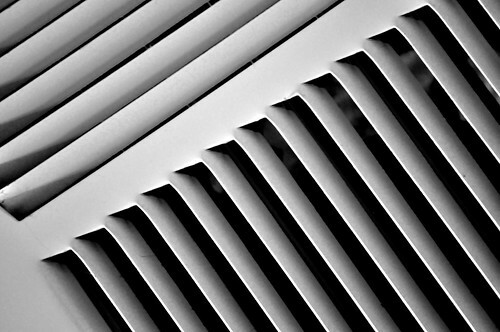 Solana Beach,CA will recommend that you clean the air ducts every 3-5 years. Why is There Such a Big Difference in Cost between air duct cleaning companies in Solana Beach,CA? The average air duct cleaning cost in Solana Beach for most homes is between $300 and $800, with factors like the size of the home, the number of ducts, number of HVAC Units in the home and their configuration affecting the price. The rate of pay technicians earn is a significant element of the cost for the company. And it doesn’t take a rocket scientist to know lower paid workers tend to be less skilled. Higher paid workers tend to be much more knowledgeable about HVAC systems as it relates to cleaning and they CARE about the health and safety of building occupants. This is an important element. Air Duct Cleaning Companies in Solana Beach,Ca using dedicated negative air collection machines that operate continuously during the cleaning process in tandem with mechanical agitations opposed to a vacuum source that is not ‘dedicated’ and/or does not ‘operate continuously’ requires more time to set-up and maintain during the job. Additionally, company’s investment of dedicated negative air machines and different types of agitation tools varies greatly. Simply put….the good equipment requires significant investment on the part of SD Air Quality and it’s worth it because the service we can do is much better and more efficient. In another words, you get what you pay for.